One of the most important things you can do when choosing which breeds you want for your flock is to choose breeds appropriate to your climate. 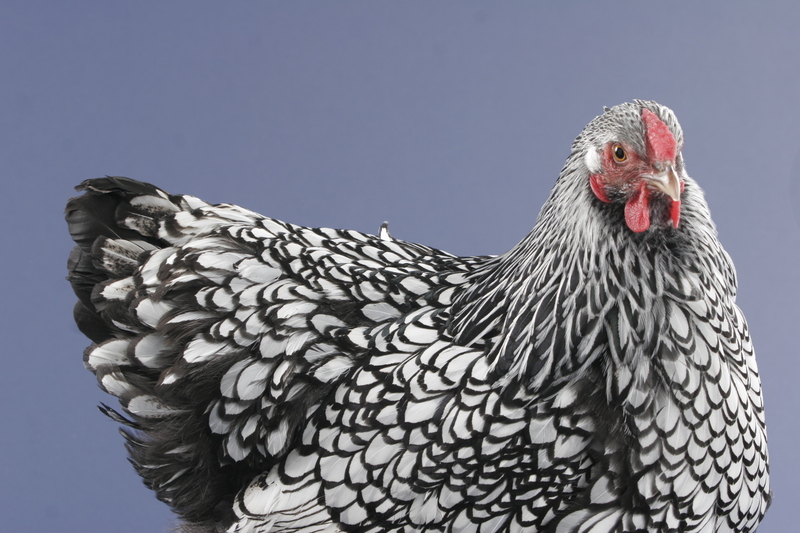 With cold winter weather on the way for most of the US, let’s have a look at cold hardy chicken breeds. 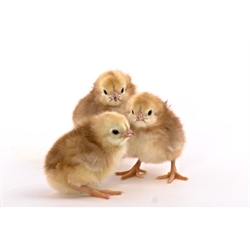 Our website makes it easy to choose from a list of cold hardy chicken breeds, but if you live in the bitter, bitter north, you may need the MOST cold hardy chicken breeds. Ameraucana – Ameraucanas have small pea combs making them resistant to frostbite on the comb–however after their first year, they don’t tend to lay especially well in cold winter areas. (They are the only breed on the list laying blue eggs, though! (Easter Eggers, while not a breed per se, also make the list for the same reason–and they can lay blue or green). True Ameraucanas can be difficult to get, though. The vast majority of hatcheries advertise Ameraucanas or Araucanas–but sell you Easter Eggers. Dominique – Dominiques have flat rose combs, and lay well in the winter. However, they don’t tend to be especially heat hardy. What features make cold hardy chicken breeds? There are a few. For one, a chicken needs a small or flat comb. 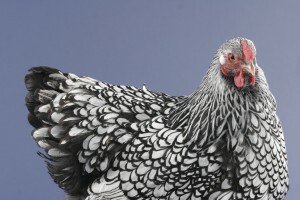 Large combs or combs with points (like the stereotypical single comb of a leghorn) can be prone to frostbite. Secondly, larger chickens do better in the cold than small bantams. And thirdly, feather legged breeds can be problematic–at times. While the feathered legs provide additional insulation, in wet winter areas, mud or slush can get embedded in the leg feathers and then freeze–again, a risk of frostbite. In cold dry areas, feathered legs don’t present the same problem, so breeds like the Brahma will do well. In addition, the Welsummer, Rhode Island Red, Sussex, Orpington and Cochin can also do quite well in very cold areas, even if they don’t do as well as those top five. 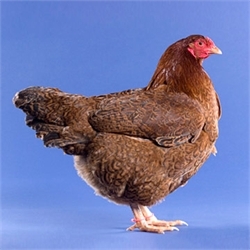 See a full list of cold hardy chicken breeds on our website. Remember, of course, that your chickens will need proper care and shelter whether they are cold hardy or not. You can learn more about how to prepare your flock for the winter. We know the feeling! 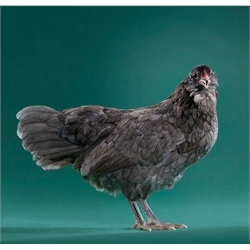 There are a lot of wonderful chicken breeds out there. 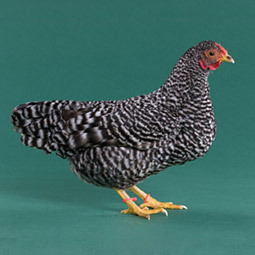 We have Barred Rocks, RIR and Golden SexLinks, all of which lay well all winter long. Hello Lissa, Maybe you remember me- I emailed you about picking out my seven “most beautiful” Buff Orpingtons a year and a half ago. It happened to me – what I thought would not ever. I thought we were too careful. A fox ran out of the woods and stole two of my babies. My heart was just broken, the remaining five are so healthy and wonderful layers and according to everyone who sees them the prettiest chickens they have ever seen. (It isn’t just me!!) For anyone who has had this happen my heart goes out to you. Each one is so special for different reasons and you can’t bear to think they died like that. I have Golden Comet hens. My question is: What is the lowest temperature (climate wise)can these hens tolerate? I was planning on warming the coop by light. I’m sensing that is not a good idea. I live in SC and it is supposed to get very cold tonight and tomorrow — like the teens. What do I do? Do their feathers keep them warm enough for that? I’ve closed all windows, but I leave one popdoor open so they can get in and out when it is time (which is located to the back of their roost bar. Please email quickly because it is going to be really cold tonight (Nov 17). Thanks. There is no lowest temperature for chickens like there is for, say, peach trees–the same way there is no lowest temperature for dogs or cats, or even humans. It depends on how long you’re exposed, how windy it is, whether it’s wet or dry and so on. Leaving the pophole door open is not the best idea, just because it allows an icy wind to blow right at chicken level (not to mention the danger from predators!). For ventilation, you’ll want something allowing a flow of air above where the chickens walk and roost. As far as temps in the teens, go, chickens can do teens fairly well, so long as they have proper shelter that is not drafty, and so long as they’ve had time to acclimate (in other words, so long as it’s not a sudden, dramatic change). I have Black Australorps, which are said to be cold hardy. We have had many nights of weather in the teens. Now one of my hens has a comb that turned black and is shrunken! She seems fine otherwise – eating, drinking, running with the others. Is this frostbite? Do I do anything about it? I think I read somewhere to put vaseline on the combs. There is another cold spell coming up. They have a snug coop with extra bedding on the floor. Thanks for any suggestions! Yes–the black, shrunken comb is most likely frostbite. Frostbite can be quite painful and very vulnerable to infection, so we’d suggest you take her to a vet (remember, we can’t diagnose an illness, and we are not vets). But in the meantime, DON’T, whatever you do, put vaseline on the already frostbitten comb. Rubbing the frostbitten area can cause more damage. Petroleum jellies like vaseline can help prevent frostbite, but they don’t treat it. Be sure to take her to a vet. We hope she’ll be okay! We have 6 chickens, 2 Road Island Reds, 2 Buff Orpingtons, and 2 Black Australorps. We live in west central Minnesota and the chickens seem to weather the sub zero weather quite well. They have been laying eggs normally. I feed them Layer 18% protein pellets, Scratch feed, and a little day old bread. They prefer the Scratch over the other food, but all they seem to eat are the oats in the Scratch and ignore the cracked corn. I was wondering if it would be alright to feed them just raw oats without the cracked corn? I have been putting the scratch in a small feeder trough since they won’t go out in the snow.